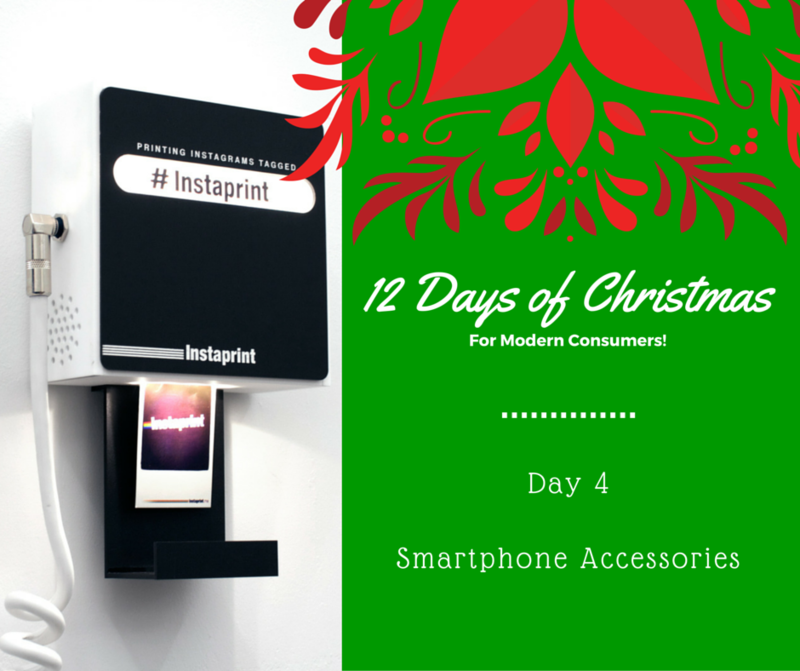 On the fourth day of Christmas my true love gave to me four calling birds and some smartphone accessories to get in touch with them! Today, we’re taking a look at the hottest Samsung and iPhone mobile toys and accessories. While these tech christmas gifts can be extremely thoughtful, they can also be versatile and make a lot of people happy. When considering buying Smartphone accessories, ask yourself: what defines your gift recipient and can you customize a tech gift for them? Think of them by their signature traits: tech savvy, photographer, adventurer, busy body or music buff. From there you can find a variety of presents. To really kick off your creative thinking, take a look at these six smartphone accessory gifts. Maybe you’ll love them so much you will already add to cart! Galaxy phone holders can get first access to virtual reality fun with this purchase. Explore games in the Google Play Store and experience the future of mobile gaming. This gift would be perfect for any gamers or tech fan that’s an early adopter of new gadgets! Perfect for a grab bag or secret Santa, these camera lenses will improve anyone’s photography. While many suppliers offer different lenses and packages, this one by CamKix® includes fisheye, macro and wide angle lenses. Prepare for more Instagram likes, these lenses will help any amature photographer reach new potential! Do you know someone that loves taking smartphone pictures but never gets around to printing them? What about someone that obsesses over Polaroids? Check out the Fujifilm smartphone printer, which instantly prints Instagrams or other Smartphone photos. If you think your gift recipent would prefer a digital camera with instant printing, then explore the Digital Instant Print Camera by Polaroid. Don’t let a dead phone keep you down. This portable charger can withstand water, making it versatile for daily use or perfect for camping, hiking or fishing trips. Compatible with many Smartphones and tablets, this gift can also be perfect for a grab bag or a gentle reminder to that one friend to charge their phone more often! Buying for someone that loves working out or listens to music on their commute? Everyone hates dealing with tangled wires, especially for earphones. Improve their music experience with Bluetooth headphones. Dr. Dre’s brand, Beats, continues to be considered the most in-demand brand for headphones, popular with both adults and teens. Ever heard someone ask you to “call” their wallet or keys? People have gotten used to the find my iPhone app and now want it for every essential item. With Tile, that’s possible. Simply attach the tile to your keychain or slip into your wallet, then use the mobile app to locate the missing object! Perfect for forgetful family members, friends or coworkers.